Looking for a certified and experienced professional team to maintain your commercial property? BTE can help. Find out how. We specialise in tree care services for a wide variety of commercial customers. 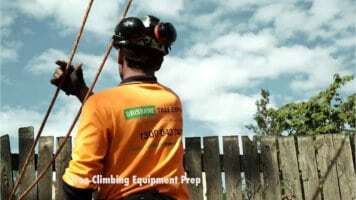 BTE provide timely and professional tree care maintenance and tree removal for real estates agents and property managers, schools and commercial clients in Brisbane. We specialise in school yard maintence with trees often requiring preventative maintenance. As when trees are left overgrown, this can pose greater risk to staff and children in the school environment. 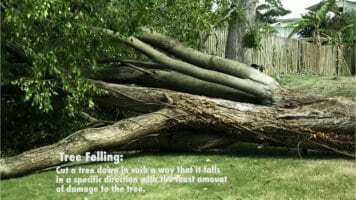 Contact Us today for your tree maintenance services. Call 0414 515 815 and we look forward to assisting you further. BTE have been able to implement these services due to their ongoing staff training and employment of qualified staff. BTE have been able provide PPM a safe, educated and progressive service to their clients ensuring budgeted tree work performed at the right time. 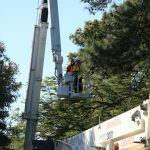 The benefits of using BTE with your property maintenance put simply is having a tree company that will provide a timely, educated and cost effective tree service for your clients. Back up with risk mitigation strategies, work productivity and value for services. Programmed Maintenance (PPM) is a large property maintenance company that provide maintenance services such as painting, landscaping, lawn and property maintenance for commercial properties and more across Australia. Tree maintenance was one area that had to be outsourced due to its complexity and high risk. 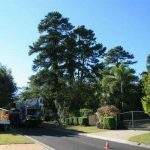 Brisbane Tree Experts (BTE) were initially engaged to provide a tree removal proposal for PPM and was quickly asked to provide our safety systems and protocols. The risk mitigation strategies and unique paperless systems BTE have in place provide a seamless flow of information. This allowed PPM to promote not only their safety systems but BTE’s as well, strengthening their position against other companies. By providing paperless quoting systems and risk mitigation strategies, work productivity and value for services grew. BTE has also introduced Tree Maintenance Programmes with PPM’s clients with the view to budgeting tree work according to risk. 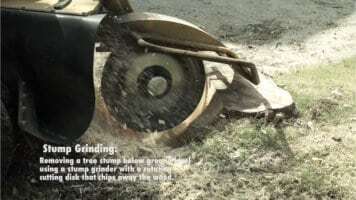 This eliminates knee-jerk tree work, only targeting essential tree work and ensuring a more affordable budget. If you are the manager of a commercial or public site which contains a population of existing established trees, then you have an obligation to ensure that appropriate management and maintenance has been implemented to mitigate any potential risks to users of your site. 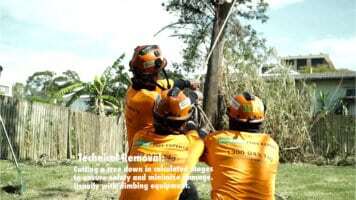 Glenn and the team at Brisbane Tree Experts are the arboriculture professionals with the knowledge and experience to take care of all your tree maintenance requirements to ensure that your duty of care as tree custodians has been complied with. With over 35 years’ experience in the tree care industry, we are the arboriculture professionals, trusted by local governments, including Brisbane City Council, Logan City Council, and Moreton Bay Regional Council. 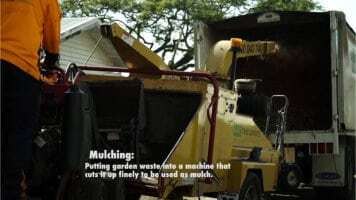 We provide holistic tree care services to high profile clients including Mater and Greenslopes Private Hospitals and are relied on by multiple schools and colleges, including John Paul College and Redeemer College, and some of our most satisfied customers include multi-site managers such as Programmed Property Services. Tree Surveys, Assessments and Reports implementing the latest in GPS technology and data collection software. Tree Management Plans and Long-Term Maintenance Strategies. 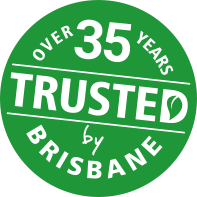 Here at Brisbane Tree Experts, we are committed to providing a level of service which exceeds our clients’ expectations, and safety is at the forefront of everything we do. We operate under a comprehensive workplace occupational health, safety and welfare policy ensuring compliance with modern workplace practices and procedures. Our staff are committed to undertaking comprehensive Job Safety Analysis and Worksite Risk Assessment procedures to ensure both the safety of our employees as well as the safety and well-being of our clients, site users and the general public. This means you can hand over the complex task of managing and maintaining your trees to a team of experienced professionals with the knowledge that our operations will be compliant with all modern workplace procedures and legislative requirements. Furthermore, we have the skills and experience to cater our operational duties to meet with individual clients’ needs and expectations. By selecting Brisbane Tree Experts as your chosen arboriculture professional, you can expect a wide range of benefits in relation to the management of your tree assets, including reduced risks, lower long-term costs and increased aesthetic values to name just a few. Your experience with Brisbane Tree Experts will be second to none, and our professionalism will be apparent from the initial point of contact through to completion of your tree related projects. Our corporate branding and teams of well presented and uniformed employees will ensure all aspects of your tree maintenance programme exceed your expectations. All works carried out by the Brisbane Tree Experts team are compliant with relevant Australian Standards including AS4373:2007 “Pruning of Amenity Trees” and AS4970:2009 “Protection of Trees on Development Sites” and, as an approved contracting and consultancy business with the Queensland Arboricultural Association (QAA), you can rely on the quality of services being offered. 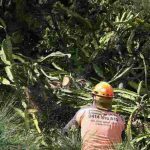 By calling Glenn and the team at Brisbane Tree Experts you can be assured that not just your obligations and duty of care regarding your trees will be taken care of, but that all other aspects of occupational health, safety and welfare within your workplace will be complied with.